Hi all! 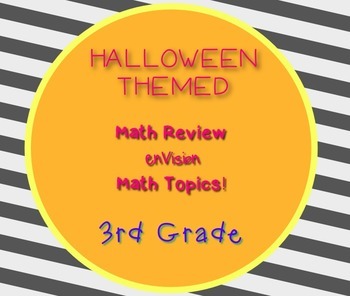 This is a math activity packet complete with 30 task cards featuring the types of questions that appear in the enVision math series. 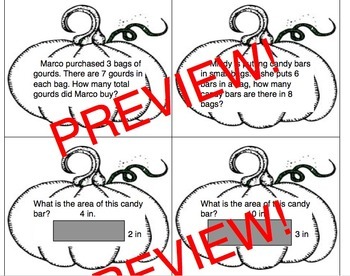 I created this activity to make learning fun and holiday appropriate amidst the upcoming Halloween celebrations! 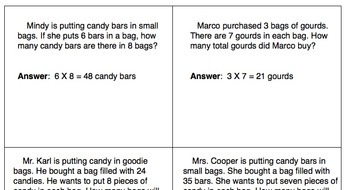 This is a great activity to foster an excitement for mathematics while providing an opportunity for students to move around the classroom and explore math with their classmates. 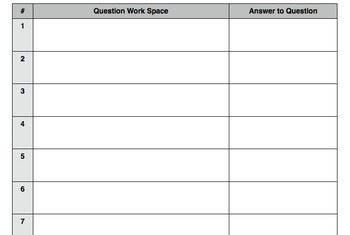 This activity is designed to have the teacher as a facilitator and students are the teachers!